This morning be sure to tune your radios to KyXy 96.5 as an announcement will mark the end of an era. 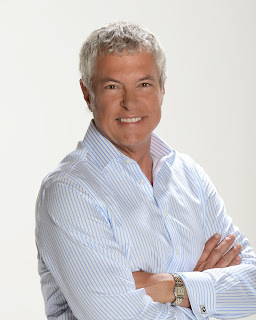 "This morning Jerry Cesak, one half of the Jeff & Jer Showgram is announcing he is leaving morning radio at KyXy 96.5." The Showgram will continue after Cesak’s departure as Jeff Detrow, Jerry’s radio partner for over three decades, will carry on with producer Tommy Sablan, co-hosts Laura Cain and Emily Griffiths. 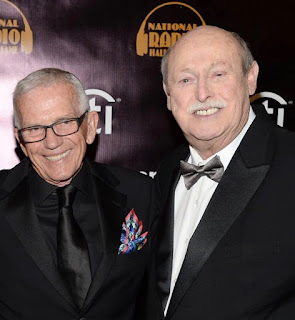 “After thirty-three years, Jerry's not just my radio partner, he's my brother,” Detrow said, “That won't change just because we don't work together. Our show will continue. We are ready for the next thirty-three years!" Joe, The Jeff and Jer Showgram is a huge part of San Diegans' daily lives. While we respect Jerry's decision to move on we will honor and celebrate him over the next month; we are also thrilled for what the future holds for Jeff and the rest of theShowgram. Jerry’s final show is Wednesday, October 14. To hear and read more, head over to www.kyxy.com. CBS has been cutting a lot of talent at radio stations in several markets over the last few weeks. Look what happened up the road at K-Earth 101 and even here at KYXY with Kevin Dean. Is this really Jerry's call or was he canned by CBS to save money. Nonetheless, wishing him all the best. I cant take it! I have been with Jeff and Jer since the beginning. I have laughed and laughed and cried, sprang in to action when called to, and even recorded the shows when I couldn't listen in all showgram long. I always thought Jeff and Jer would last forever, so this cant be the end. If it truly is, and it WAS Jer's choice, then Jerry enjoy your time. You are extremely talented and have demonstrated that in other areas like, books, plays, etc. I Thank You from the bottom of my heart for all the years of showgrams that left indelible marks on my heart. It is a team effort, always was and always will be. I will be sad for a very long time. I will always think back to one of my favorite bits you guys ever did, when you had the music group The Coors, drive to Imperial Beach and perform in the rain for a listener. That there, was some awesome sauce. Every time I hear one of there songs, I think of that time. Oh man, those showgrams! Peace and best wishes to you and Pam and to the rest of the team that will carry on with your spirit still in the studio on the other mic.